Imagine you’re at a networking event. You are mixing and mingling and start passing out your business cards like candy. 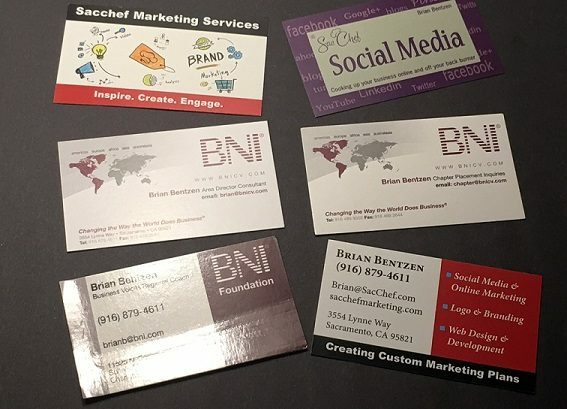 Suddenly, someone hands it back you and says, “No thank you, I do not need your business card.” This actually happened to a BNI Member. He wrote to me, astonished, and asked what I would do in his situation. Well, here’s my answer. A business card is a tacit invitation to make a future connection. How you handle that connection afterward will determine how responsive your new contact will be. So be respectful of what you do after someone gives you their card. You should always have plenty of business cards with you. It still amazes me that people go to networking events and knowingly don’t bring cards with them. I recently read a blog where many people said they didn’t bring cards so that they wouldn’t get spammed by people they meet. Really? Have they never heard of a spam filter? I use it regularly with unwanted spam. Besides, that argument is like saying I don’t want to advertise because someone might read the ad and cold call me? What kind of logic is that? Buck-up, dandelion, bring cards. It is a “networking” event! The ideal scenario is to have a meaningful (even if brief) conversation with someone where they ask for your business card (how to do that is an entirely different blog). However, that doesn’t always happen. When it doesn’t, it is still ok to offer your business card to someone. There is nothing wrong with that. Refusing to take someone’s offered card is just plain bad manners. What do you do if this happens to you? Realize that some people just have little or no people skills and move on to someone who does. This video introduces the “B’s” of Networking. Please watch this video to learn more about Andy’s tips. Does Your Business Card Take Care of Business? Earlier this week, Danealle Marshall of a BNI chapter out of Orlando, Florida, BNI Gold Partners, reached out to me via Twitter to ask a great question that a lot of business professionals will face during their career. @IvanMisner What have you either done or witnessed as the most clever alternative to the standard business card? Thank you. I love this question. Why? As I often say, giving out and receiving business cards is an extremely powerful part of connecting with new contacts. That being said, sometimes your business card can be what sparks someone’s memory of you. Why wouldn’t you want yours to stand out? 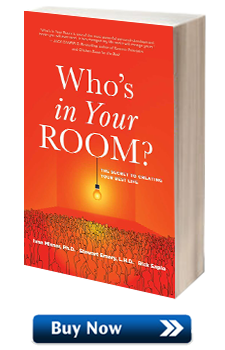 In 2003, I released a book with Candace Bailly and Dan Georgevich titled “It’s In the Cards!” In this book, we discuss the powerful tool that is your business card, and how so many people may be under-utilizing this networking tactic. To answer Danealle’s question, and to build off of some of the ideas we published over a decade ago in the aforementioned book, here are four things that I have seen in my years in business that have really elevated some business cards. Mix up the orientation. It is such a small change, but making your business card vertical instead of the more traditional horizontal orientation can really help it stand out. People receive and look at innumerable horizontal business cards on average, but you are likely able to remember the last time you saw a vertical card. Utilize graphics. And no, I don’t just mean your company’s logo. If you include your Twitter handle, consider using the Twitter bird logo instead of using the word “Twitter” on your card. Another option, though use with caution, is including your picture. This can work, but only if the rest of your card is completely spot on and has more of a creative feel. I recommend this more for marketing agencies, or those more right-branded ventures. Color your card accordingly. Have you ever heard that fast food companies frequently use red and yellow in their logos because these colors subconsciously promote hunger? Think about your product, and about your brand, and if you choose to use color on your cards (which I recommend to at least do minimally), use a color that conveys what you want contacts and consumers alike to associate with your brand. Consider your company and alter your card accordingly. I’ve seen some very cool cards that really cater to what services or goods a company provides, but I will warn that these can get costly. I’ve seen a video company with cards shaped like a clapboard, and a software engineer whose cards looked like HTML coding. Where this gets ineffective is where you take it too far – bakeries should steer away from an edible business card, despite the appeal. Have a question you want me to answer in a future blog post or podcast? Write me at AskIvan@bni.com to submit your questions. Last week I posted a blog entitled “Leverage Your Smallest Billboard” about how to make the most of one of the most powerful marketing tools you have available to you–your business card. A few days after that post went up, I received an e-mail from one of my blog readers asking if I could offer some details on the best way to go about distributing business cards when networking. She specifically wanted to know if there’s any way to tell when it’s the right time to offer your card to a new contact. So, in answer to her request, today’s blog post is all about how and when to deliver your business card. How many times have you been to a networking function and had people come up to you and literally push their cards into your hand or pocket? Such behavior is business card abuse, and it warrants a phone call to the business card police. I call these people “card pushers.” They come directly from the school of power networking, where they’ve been taught to “Sell! Sell! 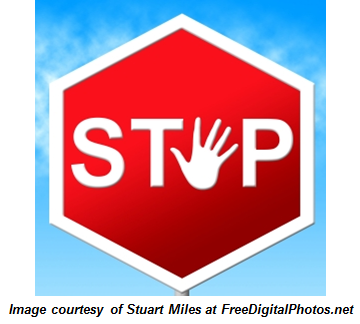 Sell!”–and to do so at networking events by forcing their cards on every person they meet. Their goal for each networking event is to get rid of as many cards as they can, under the illusion that simply having a card automatically makes you part of their network. They make no real effort to develop relationships. Being on the receiving end of such aggressive card mongering feels awkward; you are being directly sold to, with no consideration of your interests or needs. Does this sound like a cold call to you? It is–except for one thing. The seller is not safely out of reach at the other end of the line–he’s breathing in your face and grabbing your hand. It’s a situation you’d like to avoid, right? Then make every effort not to impose it on anyone else. Don’t hand out your business card unless someone asks for it. That’s right. You read correctly. I’ll say it again to make the point. The best way to use your business card is not to give it out if people don’t ask for it. If you practice this rule while networking, you’ll be amazed at the impact you’ll have on others. You’ll find it refreshing, liberating, and, most important, controlled. You are now assured that peoople who ask for your card actually want your card. As a bonus, you save money and trees! So, you may be asking yourself, what happens if I want to give someone my card but they don’t ask me? It’s simple . . . ask them for their card. More than likely, they will then ask you for yours as well. After reading this, what do you think? 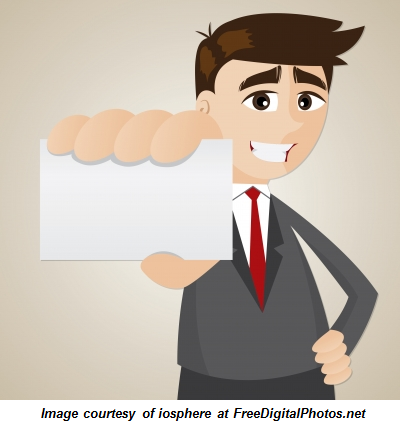 Do you agree that this is the best way to hand out your business card when networking? Do you have any creative tactics for getting your business cards in the hands of others outside of the networking event environment? If so, how have these tactics paid off for you? I’d love to hear your thoughts so please share them in the comment forum below. Thanks! Imagine handing your card to someone at a networking event and having it handed back to you with “I don’t need it.” Well, that’s exactly what happened to Juan Vides recently. Juan found this pretty insulting, and he wrote to me to ask how I thought someone should respond in this situation. First, let me talk about giving and getting business cards. A business card is a tacit invitation to make a future connection. How you handle that connection afterward will determine how responsive your new contact will be. So be respectful with what you do after someone gives you their card. Refusing to take someone’s offered card is just plain bad form and it’s probably too late to send them back to Mom for retraining on how to play with the other kids in the sandbox. Say “Really, you [bad word, bad word] dirty [bad word], I hope I never see you again at one of these events. Realize that some people just have little or no people skills and move on to someone who does. The correct answer is number four however, for the record, I kind of like number one a lot. In this video, Sandra Hart, one of Ireland’s top networkers (who also happens to be a good friend of mine), talks to me about her view on why business cards are of the utmost importance as a networking tool and how to use them for maximum impact. The fact is, passing out your business card does absolutely no good if you haven’t made an impact on the person you’re passing it to–it’s just going to end up in the recycle bin. So, how do you increase your odds of making an impression and having others hold on to your card? Well, you can start by watching this video. Sandra offers some really great tactics for making an impact when handing your card to someone so they will remember you and look forward to your follow up. After watching the video, I’d love to hear what you think of Sandra’s tips on what to do and what not to do when passing your business card out at networking events or exchanging cards with new contacts you meet in day-to-day situations. Do you have any additional dos and dont’s to share that you have learned in your networking experience? Please let us know your thoughts. Thanks! Get a Top Notch Networking Education for Free at NetworkingNow.com! This video from NetworkingNow.com explains the powerful impact your business card can have and why it’s so important to tailor your business card to coincide with the exact business image you want to present. This video is just one example of the vast array of educational content offered on NetworkingNow.com–there are literally hundreds of business and networking downloads available in the site’s online library and you can access all of them for FREE for six months by entering the free subscription code given below. The free subscription is a gift from BusinessNetworking.com and all you have to do is enter the code (“freesixmonths”) on NetworkingNow.com to gain access to the entire library of content! Please note that you will be required to enter a credit card number on the site but you will not be billed for the free six month membership. You will need to end your subscription if you don’t wish to be billed for the second six months. Something Else? If so, what specifically? 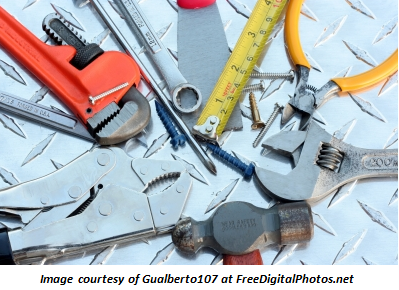 Are You Using Networking Tools Effectively? card files to carry other people’s business cards. It has been said that the U.S. Chamber of Commerce coined the term “networking.” Over the years, I’ve gone to many Chamber of Commerce business mixers. Unfortunately, too many of them seem to practice a passive form of the technique. However, depending on the chamber, some mixers can be an outstanding way to meet many new people. At Chamber of Commerce mixers, people from a variety of businesses get together with the idea of meeting one another. At these meetings, I often encounter people who don’t wear a name tag. Of those who do, many neglect to put their company name or profession on the badge. I can’t imagine anyone going to a business meeting and not telling everyone what business he or she is in! You’ve got to let people know who you are and what business you’re in if you want to reap the full rewards of networking. I also run into people who don’t have any business cards with them. 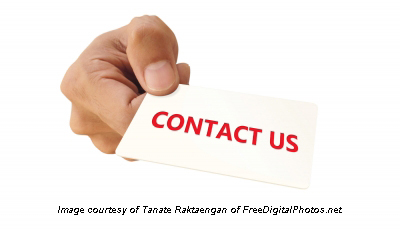 Business cards are one of the most inexpensive forms of advertising available and a crucial tool for networking. They should be well designed and present a professional image. Most important, you need to have them in your possession! A large stack of cards sitting in the desk drawer at your office doesn’t help much at a business mixer. Always carry a small card case full of business cards with you and keep a large box of business cards in the glove compartment or trunk of your car for restocking your card case on the spot. Use the backs of any cards you get from others to make notes that will jog your memory about each individual or about the conversation you had. In addition, you should go a step further and carry a vinyl or leather card-carrying case or book for the cards of the people you network with. These are people in your own personal network of contacts, people who presumably are storing your cards and referring you as well. Always keep three or four of their cards so you can hand one to anyone interested in their services. One way to enhance your networking efforts is to use computer software. When you get back to your office, you can enter the new names and information you’ve acquired into a contact management program to help you organize your information and enable you to easily handle follow-up activities. In addition to these, several general database programs, such as Relate2Profit, provide contact management capabilities. You can log in new information and contacts, get reports of your progress, and reminders. If you’re not already using a program such as this, rest assured that the learning time is a couple of hours or less. Do you have a favorite networking tool or a particular software program that you’ve found to be especially useful in enhancing your networking efforts? If so, please write about it in the comment forum below–I’m always interested in hearing about new tools for increasing networking effectiveness. Thanks! 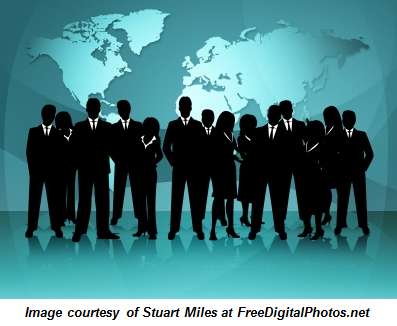 A couple of weeks ago, I posted a video blog about the Third Commandment of Working a Networking Mixer–Act Like a Host, Not a Guest (Click here to view that video blog). 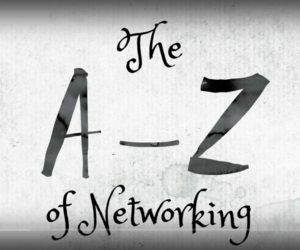 I promised in that post that I would provide more information on the Ten Commandments of Working a Networking Mixer today, so below is an explanation of each of the Commandments which will help you feel more comfortable at networking mixers and events. Have the Tools to Network with You at All Times. These include an informative name badge, business cards, brochures about your business, and a pocket-sized business card file containing cards of other professionals to whom you can refer new business. Set a Goal for the Number of People You’ll Meet. Identify a reachable goal based on attendance and the type of group. If you feel inspired, set a goal to meet 15-20 people and make sure you get all their cards. If you don’t feel so hot, shoot for less. In either case, don’t leave until you’ve met your goal. Act Like a Host, Not a Guest. A host is expected to do things for others, while a guest sits back and relaxes. Volunteer to help greet people. If you see visitors sitting, introduce yourself and ask if they would like to meet others. Act as a conduit. Listen and Ask Questions. Remember that a good networker has two ears and one mouth and uses them proportionately. After you’ve learned what another person does, tell them what you do. Be specific but brief. Don’t assume they know your business. Don’t Try to Close a Deal. These events are not meant to be a vehicle to hit on businesspeople to buy your products or services. Networking is about developing relationships with other professionals. Meeting people at events should be the beginning of that process, not the end of it. Give Referrals Whenever Possible. The best networkers believe in the Givers Gain® philosophy (what goes around comes around). If I help you, you’ll help me, and we’ll both do better as a result of it. In other words, if you don’t genuinely attempt to help the people you meet, then you are not networking effectively. If you can’t give someone a bona fide referral, try to offer some information that might be of interest to them (such as details about an upcoming event). Exchange Business Cards. Ask each person you meet for two cards–one to pass on to someone else and one to keep. This sets the stage for networking to happen. Manage Your Time Efficiently. Spend 10 minutes or less with each person you meet, and don’t linger with friends or associates. If your goal is to meet a given number of people, be careful not to spend too much time with any one person. When you meet someone interesting with whom you’d like to speak further, set up an appointment for a later date. Write Notes on the Backs of Business Cards You Collect. 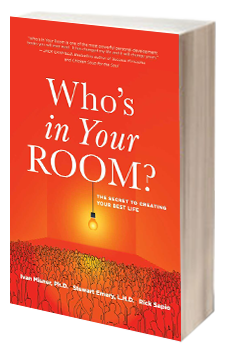 Record anything you think may be useful in remembering each person more clearly. This will come in handy when you follow up on each contact. Follow up! You can obey the previous nine commandments religiously, but if you don’t follow up effectively, you will have wasted your time. Drop a note or give a call to each person you’ve met. Be sure to fulfill any promises you’ve made. If you tend to get nervous about attending business networking functions, use the Ten Commandments outlined above to help you network your way through your next event and I guarantee you they will help you feel more comfortable and you will get more effective results for your networking efforts. Have you ever wondered about what the best way to pass your business card to someone might be? Watch this under-two-minute video where Phil Berg from BNI UK offers a very valuable tip on how (and how not to) to pass your business card to ensure that it will be valued and well received. At the end of a video, Phil and I ask a question that we’d love for you to answer in the comments section below so, please, don’t be shy and chime in with your comments . . . thanks! "New Year’s Resolutions and Networking"
A friend of mine, TR Garland (pictured with me in the photo at right), just wrote a great blog entry which contains some very timely information for many people across the globe and I’d like to take the opportunity to share it with you today as a guest blog. Enjoy . . . In about 30 days, the majority of people around the world are going to be faced with the same thing we’re all faced with once at a certain point every single year. No, I’m not talking about keeping a smile on your face while spending the holidays with your in-laws (wink-wink). I’m talking about setting New Year’s Resolutions. In other words, life gets in their way. So what can be done about this? Well, there’s something about human psychology that pushes us to not let someone else down. Because of this, people who invest in a personal trainer to help keep them accountable tend to achieve desired results much more consistently than they ever would by attempting to get in shape on their own. It’s important to note that this same concept holds true for business networking and referral marketing. Many people are spending a lot of time networking by just chatting away with others and maybe grabbing others’ business cards. By doing this, they then expect results; they expect that the people whom they’ve met and exchanged business cards with will eventually pass a referral to them. This mindset is called being reactive ( . . . and hoping for the best!). Being reactive is an employee mindset or mentality that, in my opinion, gets placed into the same category as punch cards, guaranteed smoke breaks, assembly lines, benefits entitlement, and cubicles. In other words, this mindset is something that isn’t really that viable anymore in today’s economic environment. If you don’t believe me, look around and note which businesses are thriving and hiring. I’m confident you’ll discover that the businesses which are doing well are those that do not have a reactive mindset and, instead, maintain an entrepreneurial mindset. An entrepreneurial mindset is one that takes ownership and focuses on being proactive versus reactive. Just like the “getting in shape” example above, being proactive and accountable in your business networking and referral marketing efforts is a sure-fire way to get results–plain and simple. So, especially if you’ll be out attending holiday parties in the coming 30 days with your spouse, significant other, family, or friends, remember to be proactive with your networking efforts. Go to each event with a purpose (in addition to your goal of having fun). Don’t simply gather business cards, that’s not what I’m talking about. Instead, set relevant and realistic networking goals and ask the person you went with to hold you accountable to your goals. And, of course, there’s a time and a place for everything. You need to respect the event you’re attending and if the environment doesn’t warrant you achieving certain networking goals . 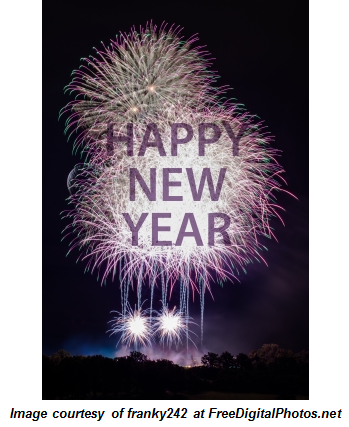 . . grab a celebratory beverage and some festive treats and remember, there’s always next year! * TR Garland is a Referral Marketing Strategist for the Referral Institute® in Orange County, California where he is a consultant to top performers and entrepreneurs on maximizing their ROI/ROT from business contacts and networking. 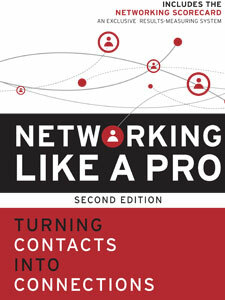 Starting in 2011, you can follow TR for his tips, tactics, and techniques on effective networking at his newly launched blog located at www.BeABetterNetworker.com.